WHEREAS, Title 33, Part IX, Section 2517 states that municipal storm water runoff continues to harm the nation’s waters and may contain or mobilize high levels of contaminants, such as sediment, suspended solids, nutrients, heavy metals, pathogens, toxins, oxygen-demanding substances, and floatables [trash]. THEREFORE BE IT RESOLVED that the Louisiana Wildlife Federation supports efforts by individual organizations to control the proliferation of trash in all waterways. BE IT FURTHER RESOLVED that the Louisiana Wildlife Federation hereby petitions the LDEQ to add trash to the list of impairments that are used to compile the Louisiana 303(d) list (impaired waterways) for approval by the EPA, to assess Louisiana waterways for trash impairment, and to determine trash allocations and TMDLs for waterways determined to be impaired by trash. BE IT FURTHER RESOLVED that the Louisiana Legislature should consider action in support of the above proposals as necessary to support achievement of the goals defined above. for consideration by the Louisiana Wildlife Federation in convention assembled. The Bayou Manchac Group will be conducting a litter cleanup on Ward Creek behind PetSmart on Siegen (next to Lowes) all day Saturday, March 2nd. Join us if you can make it even for a little while. Bring your canoe/kayak or borrow one of ours. Much of the litter is on land, but on the opposite bank so we will ferry volunteers across the creek. As of now we expect about 10 people to show up. Compare this to the 1,300 people who participate in the Bayou Lafourche annual cleanup on the same day and which is sponsored by BTNEP, the municipal governments along the waterway, and Nicholls State Univerity. Directions to the Ward Creek site: Park behind PetSmart in the Siegen Shopping Center and cross the 4-lane Mall service road on foot. Be careful crossing the road and we hope to see you there! Don’t try to launch at the private rail crossing immediately southwest of the Siegen overpass (http://binged.it/ZthaEA)! Met a member of the Bayou Haystackers (http://bayouhaystackers.com) paddling Ward Creek today while I was scouting the areas behind PetSmart for our March 2nd cleanup. He received a trespassing ticket last weekend for using the rail crossing to scout for easier launch spots. The BRPD Officer refused to believe that anyone would paddle Ward Creek for recreation and accused the paddler of scoping the area for items to steal. BREC does own Gentilly Court Park directly across the tracks from our litter cleanup location on Ward Creek (http://binged.it/ZtntYO) but there is no trail. On a somewhat related note, the Louisiana Wildlife Federation passed our trash resolution this morning at their annual meeting in Baton Rouge. The next step is to seek a member of the Louisiana Legislature to sponsor a resolution directing LDEQ to add trash to the Louisiana list of water impairments and begin assessing Louisiana waters for trash impairment and possible TMDLs. Municipalities that enact programs such as sponsoring periodic waterway cleanup events will avoid TMDLs since their waterways will not be listed as impaired by trash. The Center for Watershed Protection wanted you to know that registration for their next webcast is open! Its titled Customizing Your Stormwater BMP Design for Specific Pollutants and will be held on Wednesday, December 12th, 2012. Stormwater design requires specializing and customizing. This is due in part to TMDLs that specify a particular pollutant of concern (e.g., bacteria, nutrients, sediment) or parts of the country or world that have unique considerations (e.g., coastal waters, cold-water fisheries). This webcast will describe how stormwater BMP designs are being adapted to remove particular pollutants. We will review the research on pollutant-specific removal pathways and provide case studies and resources for designing pollutant-targeting BMPs. On October 23, from 1:00 – 3:00 p.m. ET, EPA’s Watershed Academy will host a webinar for water quality managers and others to learn more about the new Water Quality Portal (Portal) for water quality data – a team effort by the U.S. Environmental Protection Agency, the U.S. Geological Survey, and the National Water Quality Monitoring Council (NWQMC). The Portal brings together chemical, physical and microbiological data from EPA’s Storage and Retrieval Data Warehouse (STORET) and USGS’s National Water Information System (NWIS) and provides it to scientists, policy-makers, and the public in a single, user-friendly web interface. The Portal reduces the burden to data users of searching, compiling, and formatting water monitoring data for analysis This Webinar will also highlight EPA’s Water Quality Exchange (WQX-Web) which is a web-based data entry tool that enables data owners to upload their data so the public has access to the data through the new Water Quality Portal. This webinar will include both informational presentations and a demonstration of the Portal in action. Users can access the Portal at www.waterqualitydata.us<http://www.waterqualitydata.us/>. Webcast participants are eligible to receive a certificate for their attendance. Register for this free webinar at www.epa.gov/watershedwebcasts<file:///C:/Documents%20and%20Settings/AWeinber/Local%20Settings/Temp/notes87944B/www.epa.gov/watershedwebcasts>. HOUMA, La. (AP) – A Houma towboat company has been ordered to pay $525,000 in fines and penalties after pleading guilty to violating federal environmental regulations. 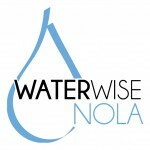 The Courier reports (http://bit.ly/NPQt5K ) that Cenac Towing violated the Clean Water Act between June 2008 and January 2010 by failing to collect samples of the raw sewage discharged by its former yard, according to the U.S. Attorney’s Office in New Orleans. Cenac Towing’s permit allowed it to discharge certain pollutants in limited amounts as long as it tested samples and submitted reports to the state Department of Environmental Quality. The company, owned in part by businessman Arlen “Benny” Cenac, did not do this, prosecutors said. Of the penalty, $375,000 is a fine and the rest a community-service payment. The company pleaded guilty in March. WASHINGTON – The U.S. Environmental Protection Agency (EPA) today announced it is awarding $2.7 million to 46 organizations in 32 states and Puerto Rico to help restore urban waters, support community revitalization and protect Americans’ health. Nancy Stoner made the announcement today in Atlanta and awarded a grant to the Upper Chattahoochee Riverkeeper organization. The group will use the funds to expand its Water Watch program to improve water quality and human health in local metro Atlanta neighborhoods. Many urban waterways have been polluted for years by sewage, runoff from city streets and contamination from abandoned industrial facilities. Healthy and accessible urban waters can help grow local businesses and enhance educational, economic, recreational, employment and social opportunities in nearby communities. By promoting public access to urban waterways, EPA will help communities become active participants in restoring urban waters while improving and protecting their neighborhoods. EPA’s Urban Waters program supports the goals and principles of the Urban Waters Federal Partnership, a partnership of 12 federal agencies working to reconnect urban communities with their waterways by improving coordination among federal agencies and collaborating with community‐led revitalization efforts. The Urban Waters Federal Partnership closely aligns with and advances the work of the White House’s place‐based efforts, including the Partnership for Sustainable Communities, to revitalize communities, create jobs and improve the quality of life in cities and towns across the nation. The Urban Waters Federal Partnership also advances the work of President Obama’s America’s Great Outdoors Initiative. (DALLAS – June 27, 2012) The Environmental Protection Agency awarded $59,824 to Groundwork New Orleans to provide training for students working to restore polluted urban waters. The goal of the Urban Waters program is to fund research, studies, training, and demonstration projects that benefit urban waters and the surrounding land. Communities directly benefit from access to natural areas. Urban waters can be canals, rivers, lakes, wetlands, aquifers, estuaries, bays and oceans in urbanized areas. Groundwork New Orleans will use their Urban Waters grant funds to help transform vacant and underutilized land into an educational demonstration project called The Green Slice, based in the Lower Ninth Ward. The Green Slice will be designed as a demonstration research site that will teach people about water management and water quality improvement, impacting local urban watersheds. Green Team members will be instrumental in assessing existing water quality and drainage infrastructure. They will then coordinate with other partners to develop plans for testing best management practices. The students will generate educational materials and conduct outreach throughout the project. Many urban waterways have been polluted for years by sewage, runoff from city streets and contamination from abandoned industrial facilities. Healthy and accessible urban waters can help grow local businesses and enhance educational, recreational, employment and social opportunities in nearby communities. By promoting public access to urban waterways, the EPA will help communities become active participants in restoration and revitalization efforts.